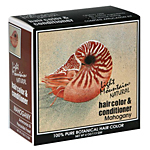 For thousands of years, women have used plants from the family Lawsonia, called henna, to color, condition and enhance their hair. Although Cleopatra was one of henna's most celebrated proponents, women throughout ancient history have relied on henna to color, condition and protect their hair, skin and nails. Ancient Egyptian hieroglyphs depict regal women with painted nails and dyed skin. Believing henna represented the fire and blood of the earth, early peoples of the Middle East also discovered that this mystical plant could bring out the natural luster and deep color of their hair. For centuries, North African brides-to-be have prepared for their weddings with the traditional "henna" ritual, in which friends and family of the bride gather to paint her hands, nails and feet with henna. Today, henna is commonly used all through the Middle East, Africa and India for tinting the skin, nails and hair. 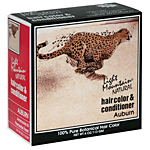 In our Western culture, henna is primarily used for safe, natural, chemical-free hair coloring. 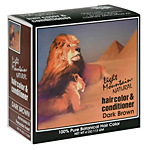 Any hair coloring process involves a certain amount of preparation and effort. 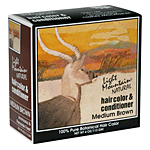 With Light Mountain products, you only need to purchase one box. 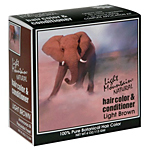 Our complete henna application kit includes premium grade henna-based hair color, detailed instructions, a pair of disposable gloves so you can handle and apply the henna mixture without coloring your hands (remember, henna can color skin as well as hair! 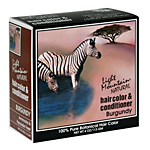 ), and a "henna hat" to assist you in "setting" the hair color during the color treatment stage. 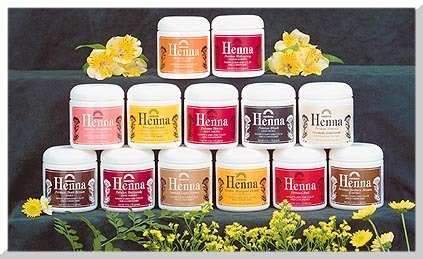 No other henna product line on the market offers this complete henna kit. Not sure how easy it is to use henna? 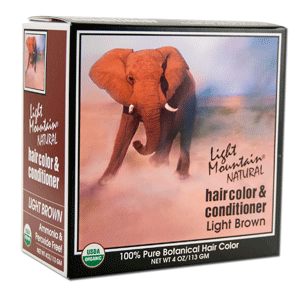 Rainbow Henna has no chemicals, or preservatives added. Rainbow Henna coats each hair shaft with color. Blends naturally. Fades gradually. Lasts 4-6 weeks. 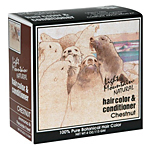 Smooths and seals the hair's cuticle for greater shine and body. Our custom-tailored recipes can be used for special effects, covering gray, and improving texture. The 4-ounce jar of henna usually is enough for one application, but if you have short hair or are just trying to touch up certain areas to your same color, you may be able to get two applications out of it. The best way to cover gray is to apply neutral henna first and then to redo your hair using your preferred color of henna. 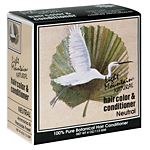 Using neutral henna by itself will add body and shine to your hair without color. Not sure how easy it is to use henna? Instructions here.